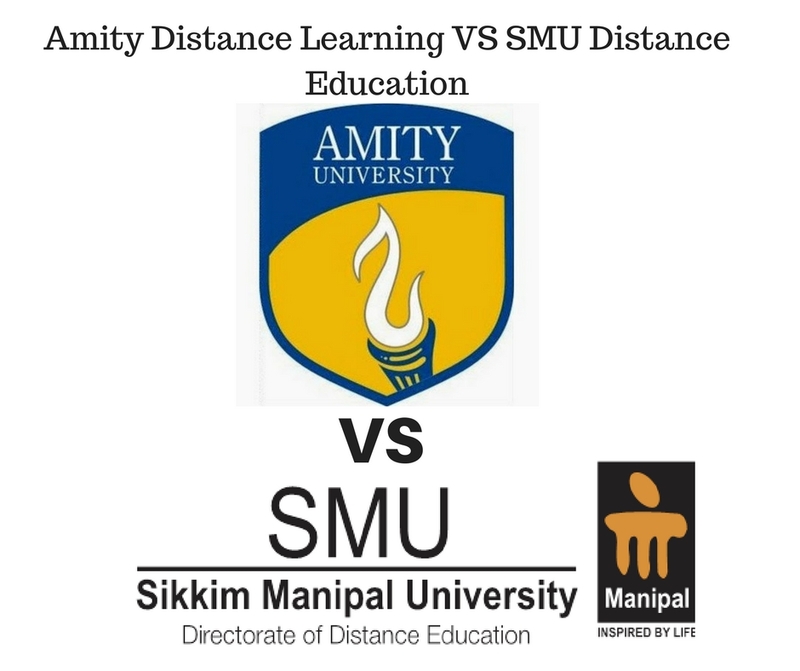 Both Amity and SMU are pioneers in distance learning and preferably first choice of aspirants for distance learning courses. In this Post, we have tried to write down some important facts about both the Universities. As we all know, After Huge Success in its regular courses Amity started their distance learning programs to give students a competitive Edge. Amity Directorate of Distance and Online Education (ADDOE) provides degrees to the students studying through online and distance mode. SMU was established in 2001, and probably is leading provider of distance learning courses. Most Noteworthy, SMU is a Unique Public-Private Partnership between the Government of Sikkim and Manipal Education and Medical Group. Amity University is India’s first private University to be certified with highest ISO 9001 – 14001. On the other hand, amity distance learning was awarded for best E – Education Services in Indian Retail Awards. Amity is the only University with International Accreditations and affiliations; on the other hand, SMU was conferred as Digital Learning ICT Enabled University of the year. Amity Distance Learning Offers various Distance Learning Certificate, Diploma, Graduate Degree, Post Graduate Degree and PGDM programs. On the Other Hand, SMU offers only distance learning Graduate and Post Graduate Degree Courses in the field of IT and Business Administration. ASODL is an only educational body with online admissions as well as online mark sheet generation facility. Thus, a student can access the course content on the go with a single click. To be précised, amity’s LMS is one stop solution for all queries of students. Moreover, Amity ensures 24/7 online support for grievances. SMU-DE ensures convenient learning and quality education to students. Most unique part is approximately 6800 qualified mentors are committed to delivering quality education. EduNxt – An e-learning system creates a direct link between teachers and students, at all the times. Moreover, with EduNXT students get an extra edge to access study material anywhere anytime. More SMU has hosted a mobile app SMU – DE my zone that provides all – in – one support to students. Over the years, both of the Universities are probably one of the first choices for distance learning aspirants. Fast-track processing enables universities to provide solutions to every grievance of students on the go. They are looking forward to delivering excellent education to distance learning aspirants. It seems like their efforts in the field of distance education has made them one of the first choices’s when it comes to distance learning. For any further information about courses, aspirant can anytime contact us.